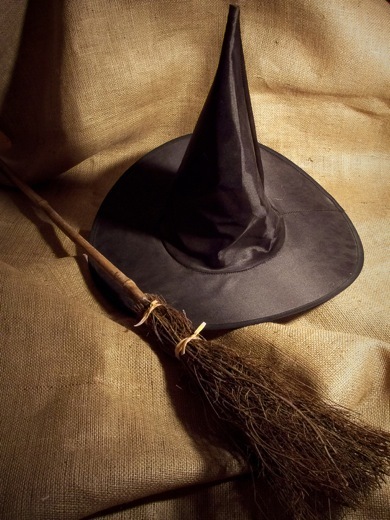 The witch's hat represents the "cone of power" erected in magickal circles by practitioners in many spiritual traditions. It also has close ties with the vortex and a tiny structure in the brain called "the pineal gland." The pineal gland secrets a natural substance known as DMT that plays a role in dreams, psychosis, psychic ability, mysticism, and other forms of so-called transcendental or supersensory awareness. This section will explore these topics in depth starting with a comprehensive view of the witch's broomstick and the ruby red slippers. Discover and enjoy!